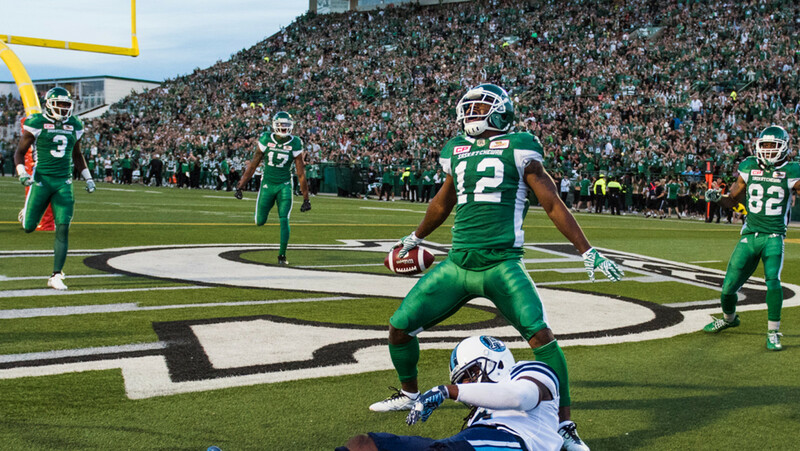 REGINA — The Saskatchewan Roughriders continue to tinker their roster as they try and find the right set of personnel to get themselves back int he win column. The latest transaction ocurred Wednesday night when the club released receiver John Chiles. Chiles joined the Riders as a free agent back in Feburary but only saw action in three of the Riders’ eight games this season, collecting 135 yards and 3 touchdowns on 10 receptions. Chiles, 27, spent two seasons with the Argos from 2013 through 2014, recording 1,200 yards and nine touchdowns in total. He caught 29 passes for 475 yards and a touchdowns in his last season in Toronto as injuries limited him to only eight games. A 6-foot-1, 209-pound Texas graduate, Chiles was known as one of the CFL’s fastest receivers before heading south to join the NFL’s Chicago Bears in 2015. He was placed on injured reserve by the Bears then released in November.